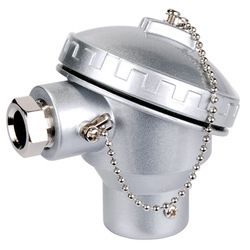 We are offering FLP Thermocouple Head to our clients. We are engaged in offering FLP/WP Thermocouple Head to our esteemed clients. Apart from this we are continuously striving to provide superior quality products to our clients. Our products are manufactured using latest technology to provide technically sound products. These are used in several electrical applications. We are engaged in offering Flameproof Thermocouple Heads. 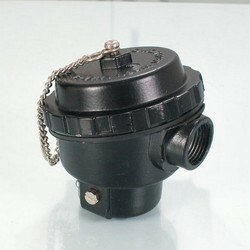 Used In Hazardous Area for Gas Gr, IIB & IIC. Our Products Are Already Approved By Certifying As Well As Approval Authority Like CMRI, CCOE, ISI & DGMS.